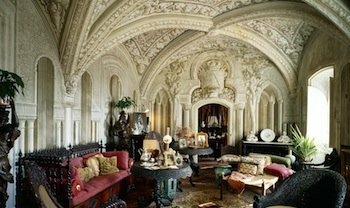 There are many palaces, castles and manors in Portugal to visit, one of the more unique is Palacio da Pena, just a few minutes by train from Lisbon. This palace was built by King Ferdinand during the middle of the 1800s. 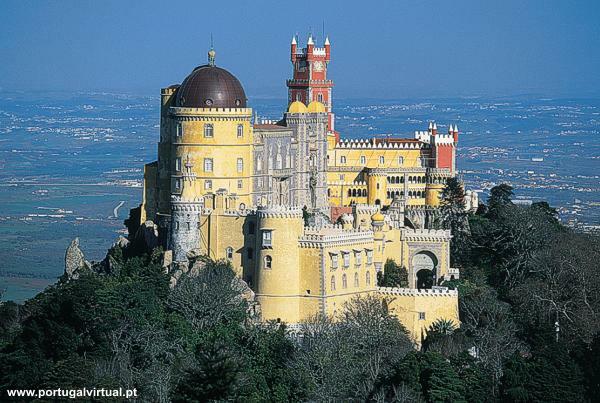 Pena was built as a former summer palace to the Portuguese royal family, here they could escape the hot days in Lisbon. 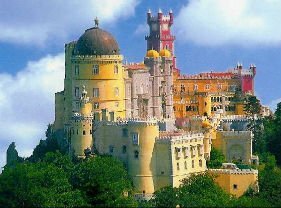 The air and the altitude of the little mountain in Sintra makes the climate cooler than in the capital. 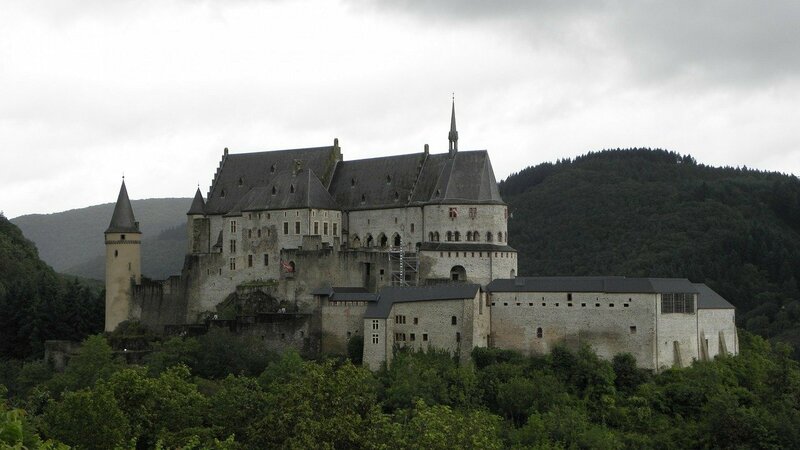 Together with an amateur architect from Germany, von Eschwegen, this different castle was constructed. Among towers and pinnacles one can wander around in this museum and gaze at the design, the small decorated rooms and all strange things that have been collected through out the years. 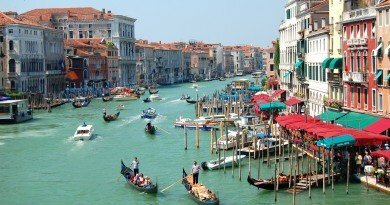 In 1889 it was purchased by the State of Portugal,and after the revolution in 1910 it was classified as a national palace property and became a museum. 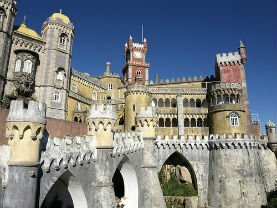 It is easy to travel to Sintra by trian from Lisbon. Once you have arrived in Sintra you may either walk the steep road up the mountain or buy a ticket to a bus transfer. 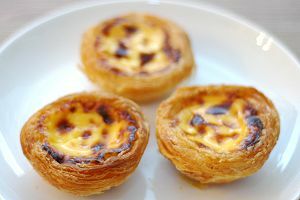 ← Delicious pastries from Portugal.